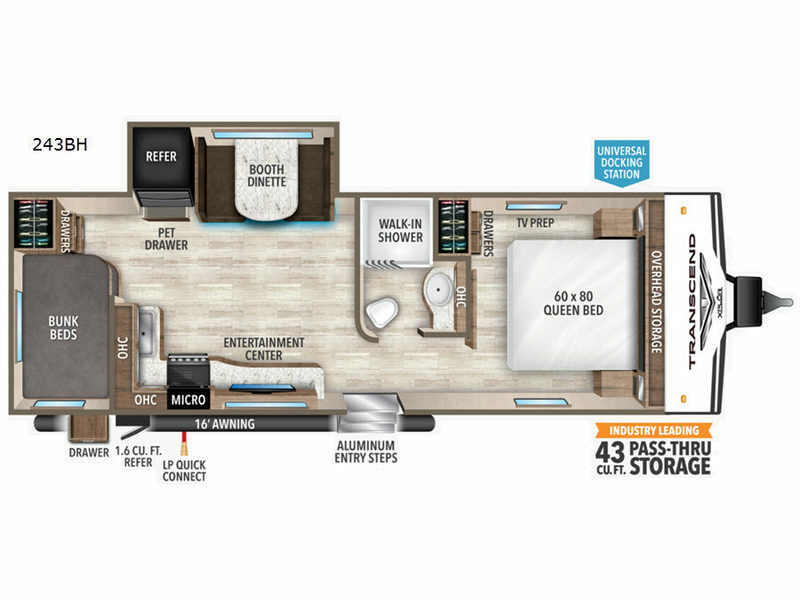 Introducing the Transcend Xplor travel trailers! 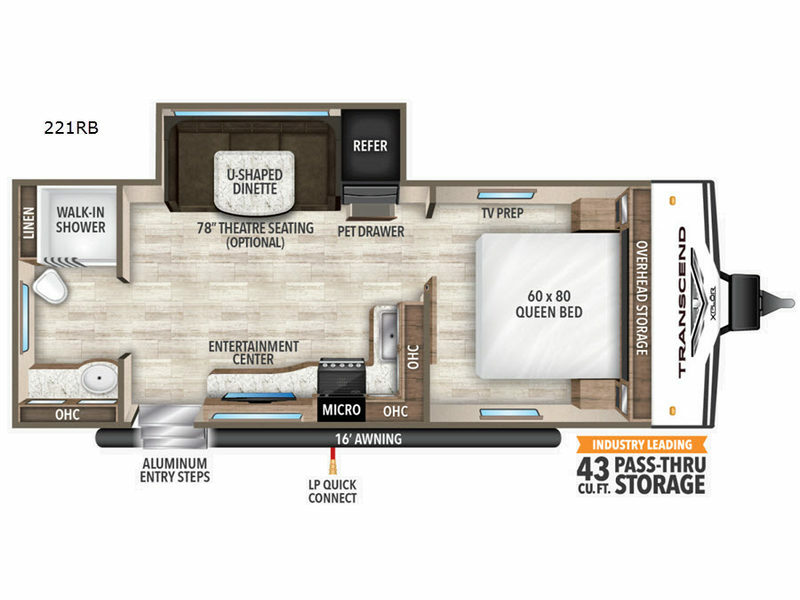 Grand Design has enhanced the Transcend line by offering entry point trailers with smaller floorplans without giving up standard features such as aluminum entry steps, residential cabinet doors and solid wood drawer fronts, a heated and enclosed underbelly, plus a fully walkable roof. 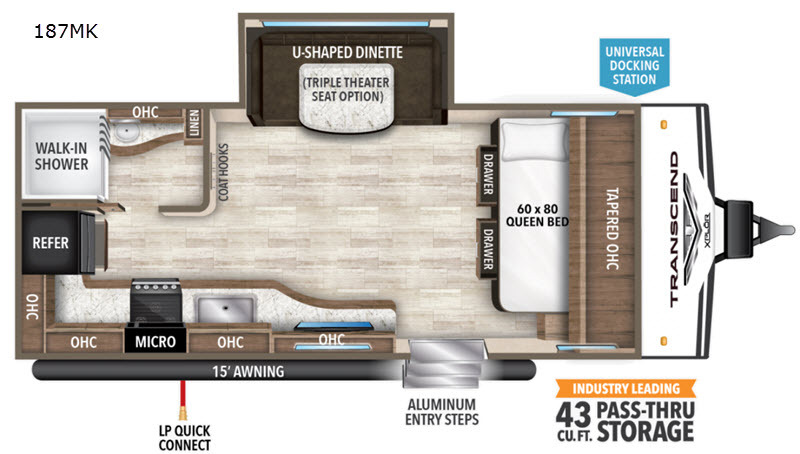 Each model offers QuadSeal providing four protective layers, a one-piece roof membrane with a 12-year warranty, a deep seated stainless steel sink to easily keep everything clean, plus upgraded residential furniture and USB ports to keep everything charged and ready for adventure. 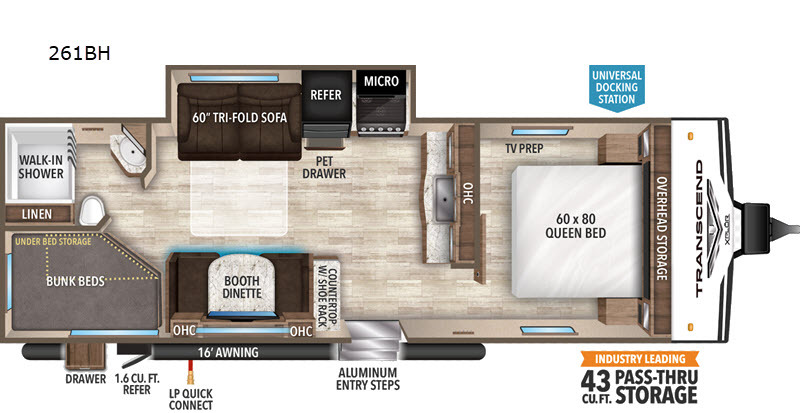 Start exploring the great outdoors in a Grand Design Transcend Xplor travel trailer today!